As vehicle owners, few things are as important as keeping it running good as long as possible. With the high cost of auto repairs, many drivers are choosing the Mopar® Vehicle Protection Plan. This plan or program can help you cover the cost of many repairs and services your vehicle may need. Why are cargo vans becoming increasingly popular, as opposed to trucks in the service industry? For one, the back is fully enclosed and in some cases better equipped to transport supplies, and two, cargo vans are getting better and better capability features year after year. That is why we here at Lithia Chrysler Dodge Jeep Ram of Portland are so excited to tell you all about the brand new 2018 Ram ProMaster! First, the Ram ProMaster includes a six speed automatic transmission. This ensures that your cargo van will be able to smoothly accelerate in all weather conditions. Whether you are looking for a basic sedan or a large truck, here at Lithia Chrysler Dodge Jeep Ram of Portland, we have a large selection of used vehicles from Chrysler, Dodge, Jeep, and Ram. Don't immediately turn away from a used vehicle. You could find a vehicle that has many years of life left in it, at an incredibly affordable price. We offer certified pre-owned cars from Chrysler, Dodge, Jeep, and Ram. The Ram 2500 is among the most popular vehicles in its class, and it may be available at Lithia Chrysler Dodge Jeep Ram of Portland. This is because it has a variety of features that make it easy and convenient to use. For instance, it has steps that run along both sides of the vehicle to help you get inside of it. We take computers everywhere we go, including our laptops, our cell phones, and our portable entertainment systems. Tablets, Nintendo products, and other things all fall into computers. Even our cars often have processors, and the Chrysler 300 is no different. While no one will brag about the number of cores in the car's Apple CarPlay system or how many megahertz the processor as a whole has, the owner will brag about the benefits they receive because of the technology. The Dodge Grand Caravan is known for its excellent safety profile, sharp exterior design, and high-performance engine. While these features definitely compel one to test drive a Grand Caravan, many current Dodge minivan owners are saying the unique fuel efficiency features of the vehicle are their favorite part of owning one. There are two unique features of the Grand Caravan that help drivers save money on fuel while reducing emissions; the low-rolling resistance tires, and the fuel economizer system. The Jeep Wrangler JK is designed precisely to provide a good deal of traction and control to various terrains. Driving in inclement weather can be quite a danger. You can accomplish this safely and easily with the JK. If you have decided to take your Wrangler on an adventure, the JK model will easily keep up. There are currently three different 4x4 systems that are optional. You also have your choice of the Command-Trac® and Rock-Trac® 4x4 Systems. The Selec-Trac® Full-Time 4x4 System is also available. 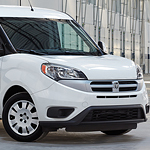 When it comes to passenger vans and cargo wagons, the Ram ProMaster City is a popular model because it comes with a number of features that enhance capability. At Lithia Chrysler Dodge Jeep Ram of Portland, we like to keep our consumers informed about our models. You can find out more about the ProMaster City's capability features below.